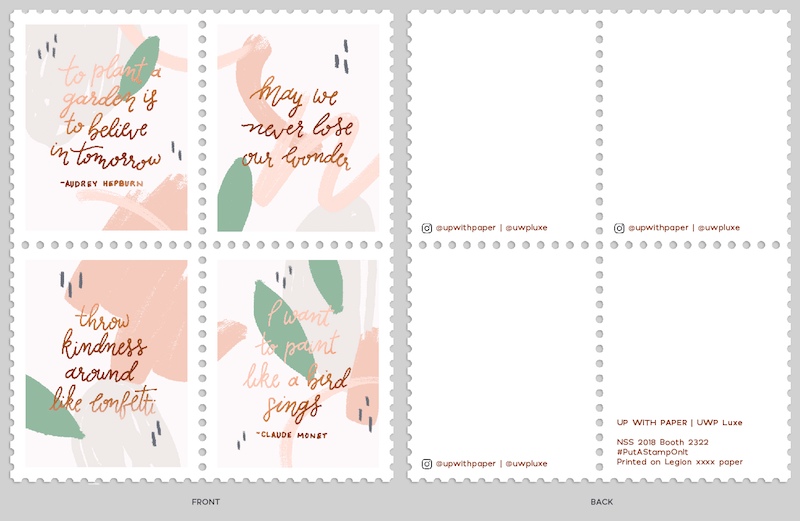 Here's your sneak peek at the 2018 National Stationery Show promotion project with the theme of Stamps! The project is well on its way. The designers have been selected and papers are now being chosen. We're so excited to be working with Sarah Schwartz from The Paper Chronicles and Stationery Trends, Parse & Parcel , the Stationery Show and our packaging designers, Rifle Paper Co., along with 22 designers to carry out the project. Here's the crew: Hester & Cook; Pinwheel Print Shop; ilootpaperie; Halifax Paper Hearts; Pinky Weber Studio; Paper Bandit Press; Up With Paper/UWP Luxe; Page Stationery; Typoflora; Good JuJu Ink; Smarty Pants Paper; Boss Dotty Paper Co.; Gotamago; Lily & Val; Ginger P. Designs; Inklings Paperie; The Regional Assembly of Text; The Imagination Spot; Euni + Co.; Collen Attara; Albertine Press; and Fresh Out of Ink. How does it work? Be sure to attend the National Stationery Show beginning May 20th. Grab your checklist that will be given out at the show with the full list of designers and their booth numbers. Stop by each booth to collect their stamp. Once all the stamps are collected, swing by Legion's booth to collect your box made by Rifle Paper Co. to store the 22 collected stamps. There will so many different designs, printing techniques, papers, shapes, sizes all within one box. Here are just a few of what you'll see. 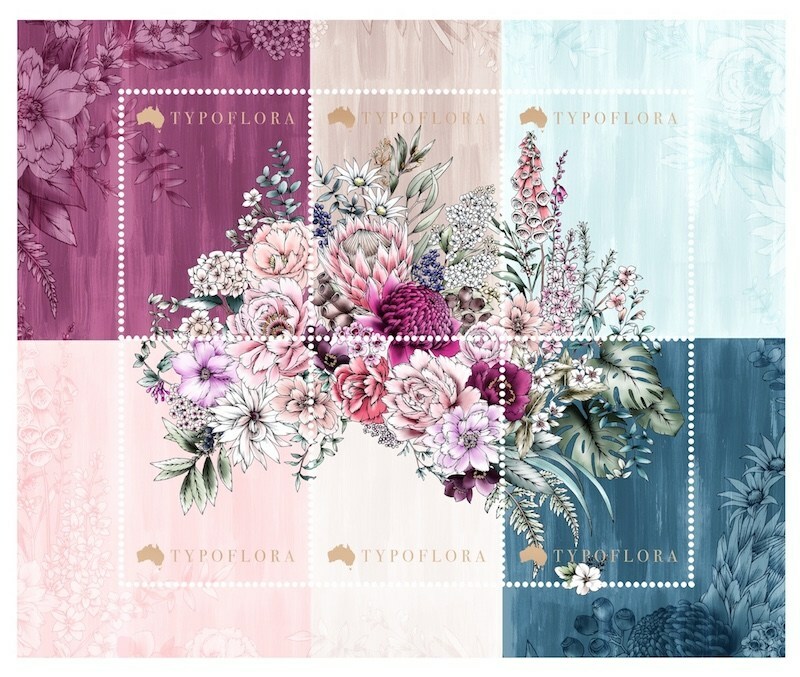 Typoflora's Stamp Design that will be printed on Canson Infinity Paper. Up With Paper's Design printing on Stonehenge Paper. Good JuJu Ink's design that will be printed on Rising Museum Board. Stay updated on more designs to come! Let the countdown begin! When Reyn Paper Co was asked to create the box for legion paper’s #nssclassof70, we were excited to get our hands on paper that was specifically for packaging! I knew that I wanted to have a high contrast look with gold foil, so I started by selecting black papers available in heavy enough stock to make a sturdy box. When I came across the Cocktail Black Russian paper it was love at first sight. I knew it was the one almost immediately. It had this beautiful shimmer that added just the right amount of glamor to the design, without being too gaudy or distracting. 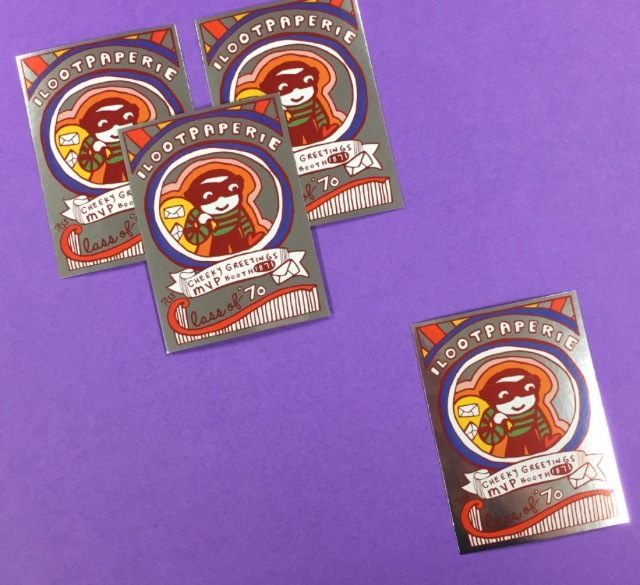 The flexibility of printing applications was the next reason I was drawn to this paper, as it allowed me to utilize both foil and metallic offset printing in the design without sacrificing quality in either. I loved using foil in my designs, and I would have loved to make the entire project gold foil, but I knew it wouldn’t be practical for the insert information card because of the amount of information we had to fit into such a small area. So for the insert we utilized offset gold metallic ink to get the glitziness across in a more practical form. And lastly, when it comes to designing packaging, durability is paramount. I knew this piece would be receiving a lot of wear and tear over the course of the show, people sliding it open and closed again and again as they went around collecting the trading cards. So when I found this paper I took my sample and really tried to rough it up. Folding, rubbing, scuffing--you name it, I tried it. What I discovered is that the Black Russian paper is as resilient as it is beautiful. It can really take some abuse. It showed very little wear after i worked it over, and the shimmer quality of the paper never degraded. I want people to be able to keep this as a collector's piece for many years to come. It’s a huge responsibility, protecting all the beautiful trading cards designed for Legion Paper, so we wanted to make sure our box could measure up to the task. This was my first time working with Cocktail paper and, needless to say, I can’t wait to work with it again! Kristen Reynolds, Reyn Paper Co.